3-30-13 Today’s fishing was non-stop action. Joining me was Earl, Kory, and Mark. 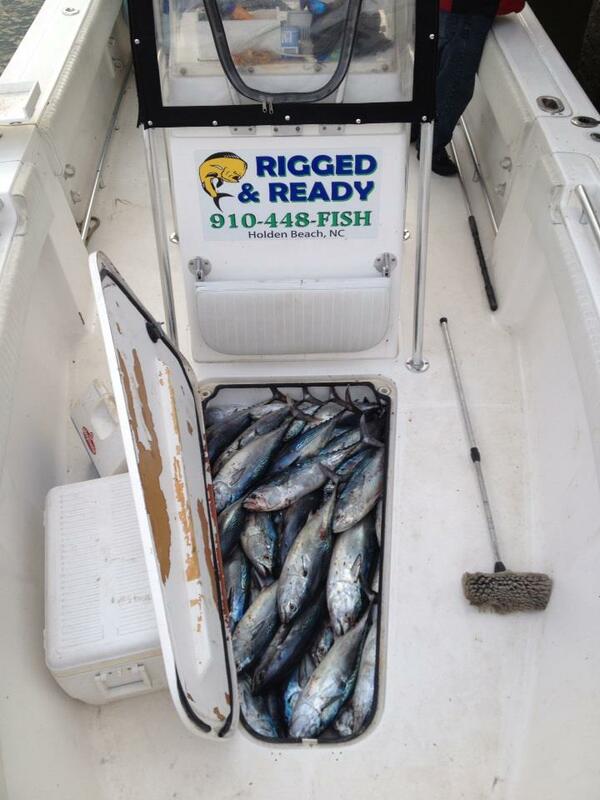 Our mission was to head offshore in search of King Mackerel and a species know as the False Albacore. We were hooked up the whole time and could only use one or two rods. After we were extremely tired of catching the False Albacore we started jigging for Grouper, Amber Jacks, and what ever else might decide to bite. We ended the day with 436 lbs of Albacore and caught and released Grouper, Sea Bass, and Jacks. Fishing Offshore can be extremely fun and if that’s what you’re looking for don’t hesitate to call me.